With all of the busyness that comes with Christmas, it’s best to start early with making decorations and gift items. This collection of DIY Christmas crafts will get you well on your way to being prepared for the holiday. Find ideas for decorating, entertaining, and homemade gifts. Create a budget friendly, rustic Christmas! Small Christmas trees are fun to display on a mantel, shelf, or table. Most Christmas tree crafts are easy to make with a base styrofoam cone. 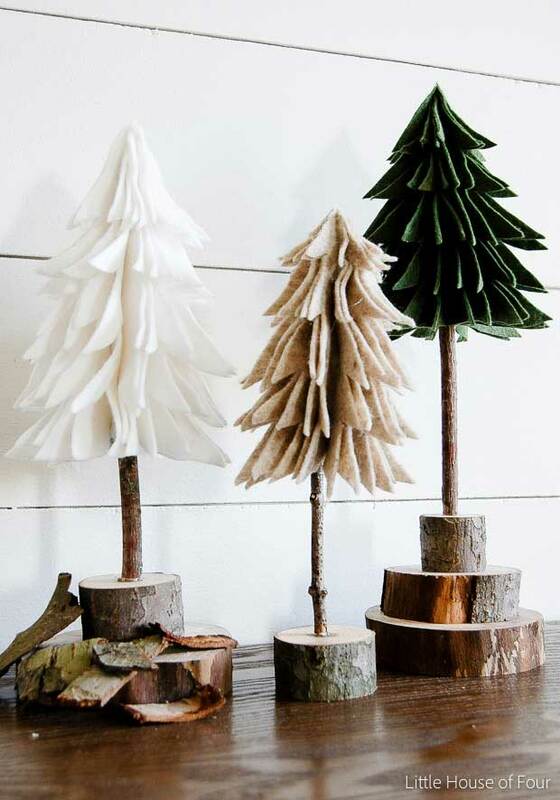 Here are some of my favorite examples of mini Christmas trees that you can make. Rustic pinecones, red push pins, and gold ribbon are all it takes to make a festive Christmas tree topiary. 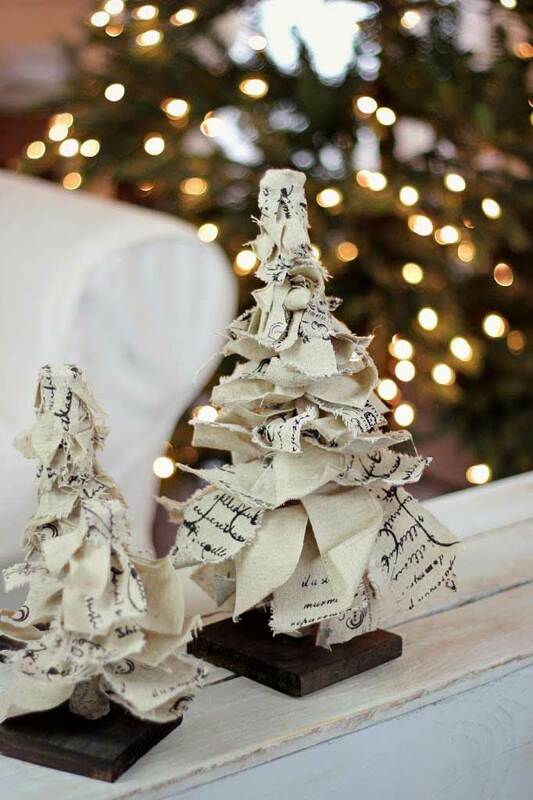 These burlap and ribbon Christmas trees are a perfect way to add some rustic chicness to your holiday decor. Just tie fabric strips to a thick branch and adhere to a wood stand. 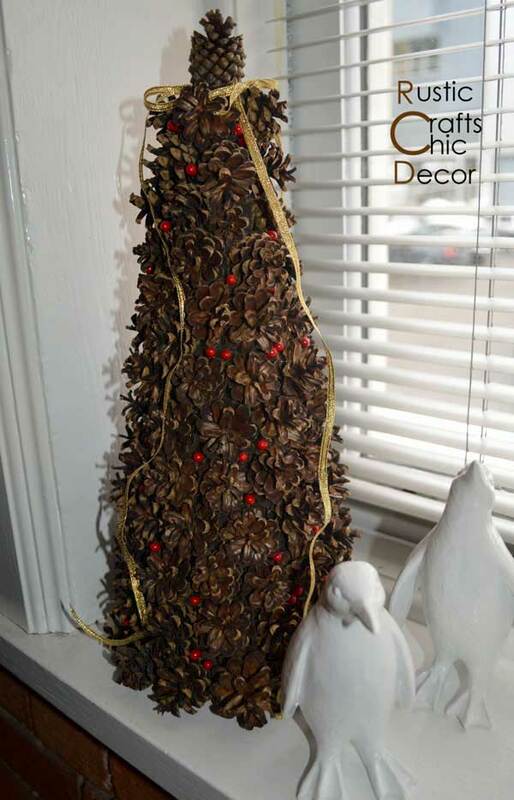 Another easy way to make a Christmas tree is with felt and branches. 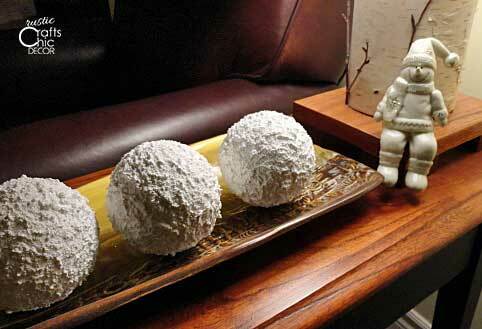 Indoor snowballs can be used as dish or vase fillers. Or, why not adorn a Christmas tree with some? 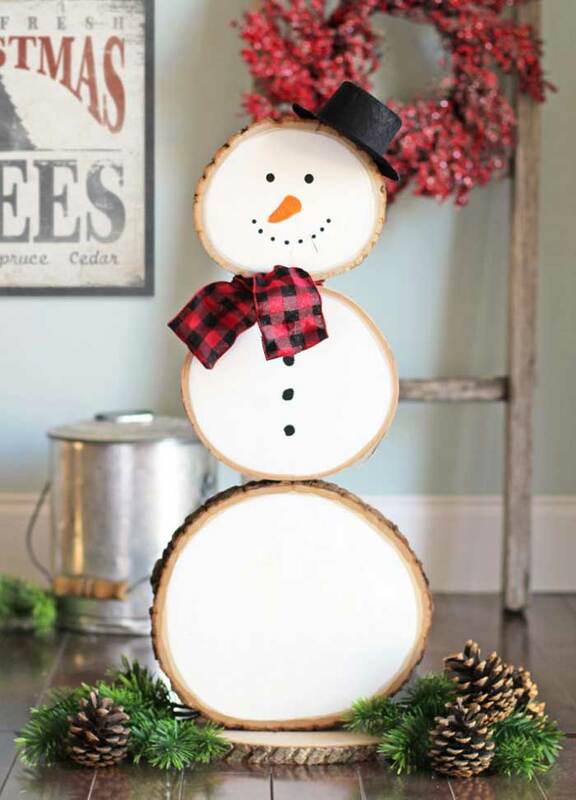 This rustic snowman isn’t just adorable. It’s also reversible as a stack of pumpkins for Fall decor. 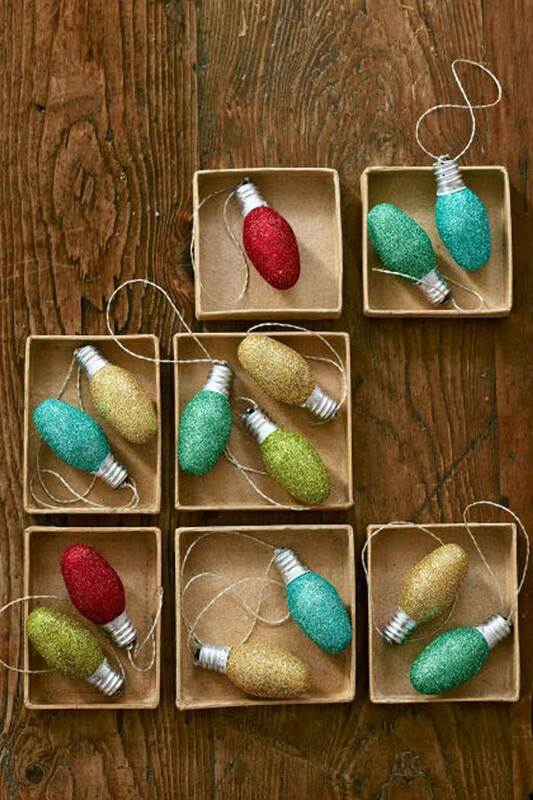 Instead of throwing small night light bulbs away when they burn out, make a sparkly ornament or two instead. 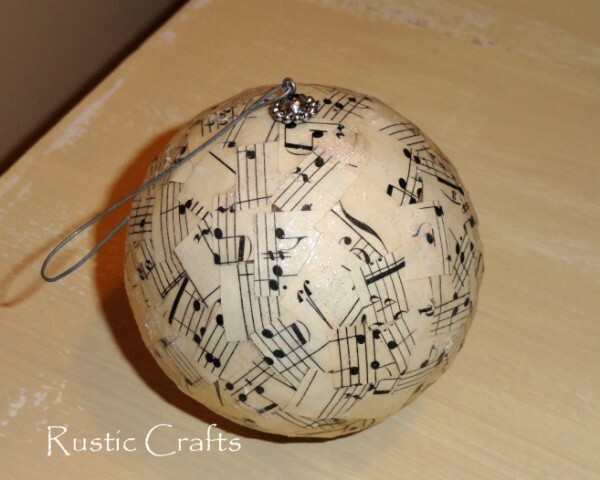 Make a joyful noise with a Christmas ornament covered with vintage song sheets. 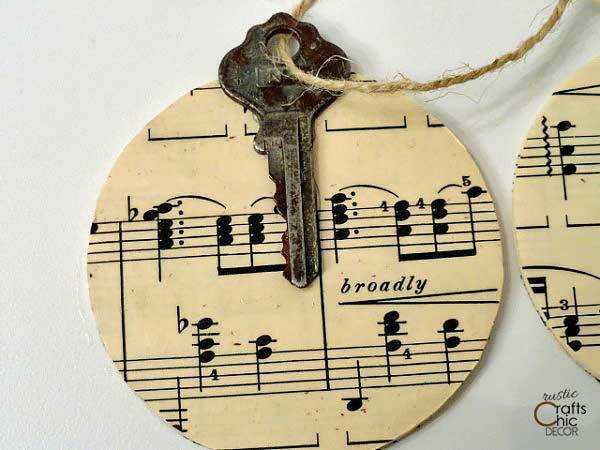 Another version of this is to make a flat round ornament with a single piece of song sheet and a vintage key. Use these to hang on your tree or to embellish gift packaging. 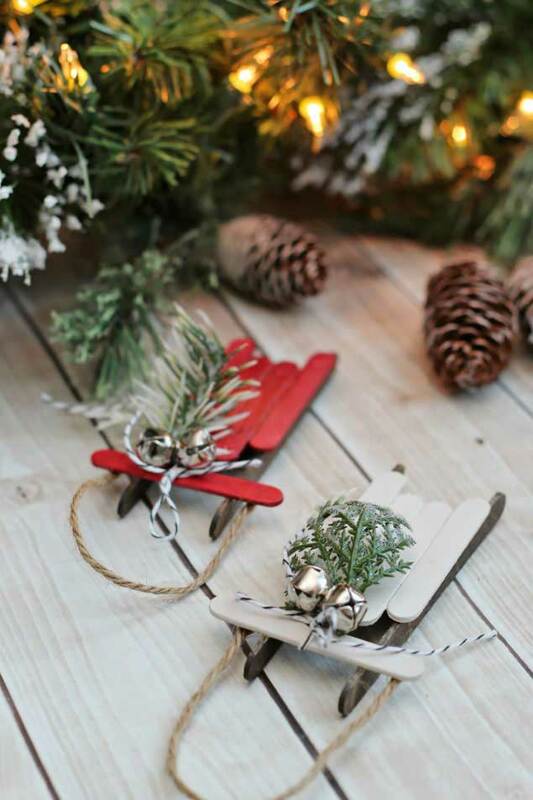 Make cute and easy sled ornaments out of simple popsicle sticks. 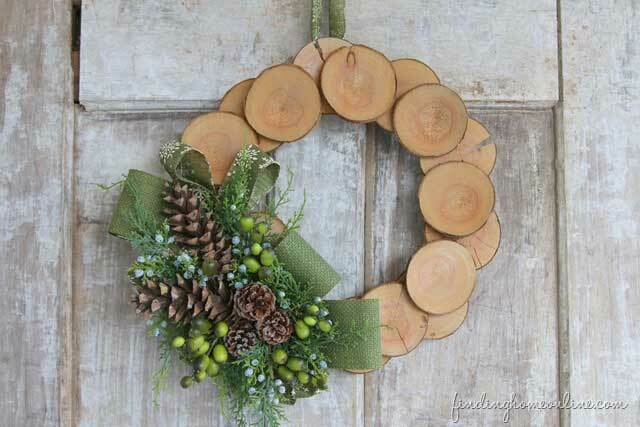 A fun way to make a rustic Christmas wreath is with thin tree log slices. Then, just adorn with pinecones and greenery. 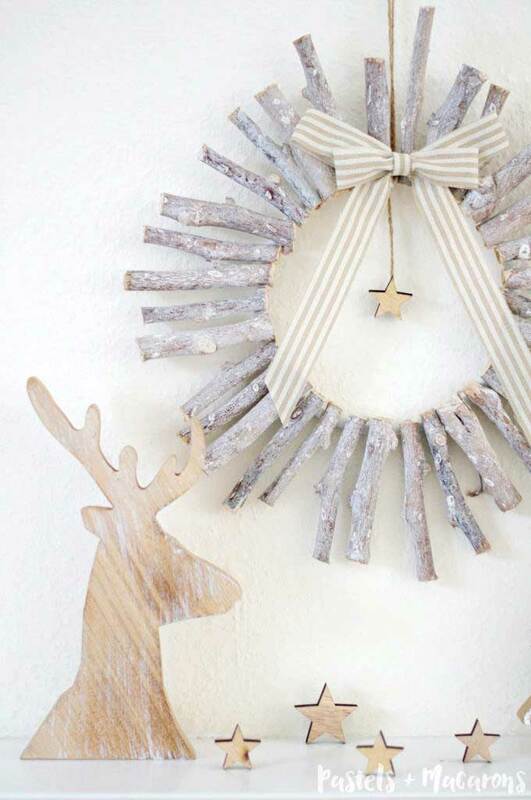 Another way to get a rustic look for a wreath is to use sections of branches. 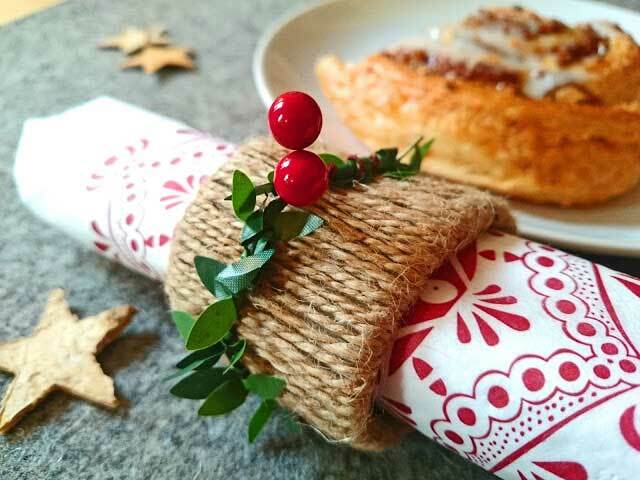 If you can wrap twine around a toilet paper roll, you can make these festive napkin rings! Another option is to use fabric for wrapping the roll instead of twine. 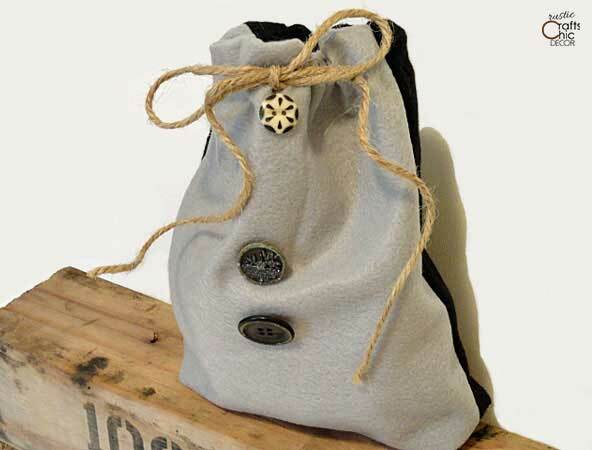 Instead of normal wrapping, make a reusable felt gift bag for packaging those small Christmas gifts. 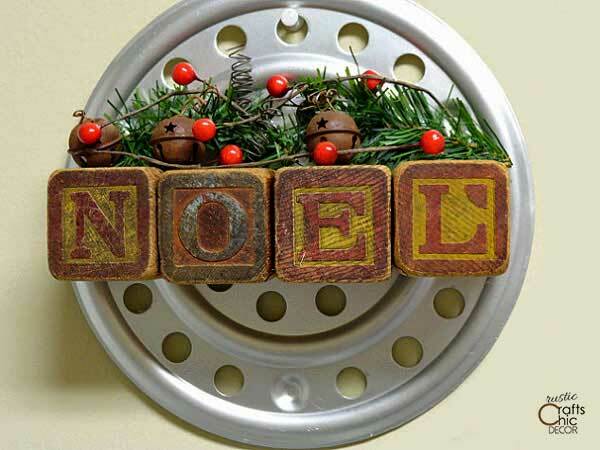 Combine vintage items to make unique Christmas wall art with what you have. 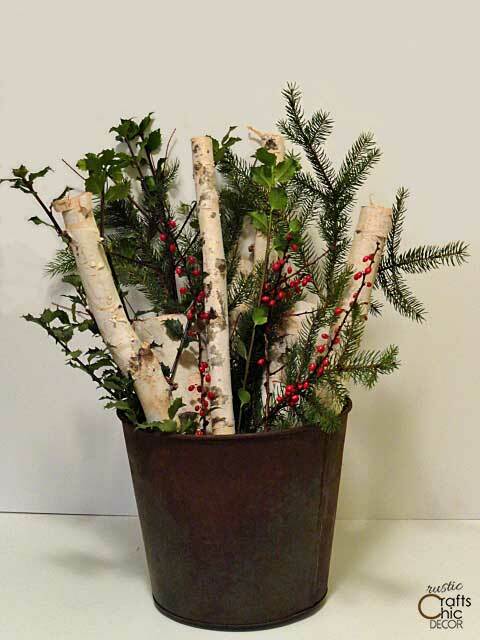 A rusty bucket makes a great container for filling with birch logs and Christmas greenery.